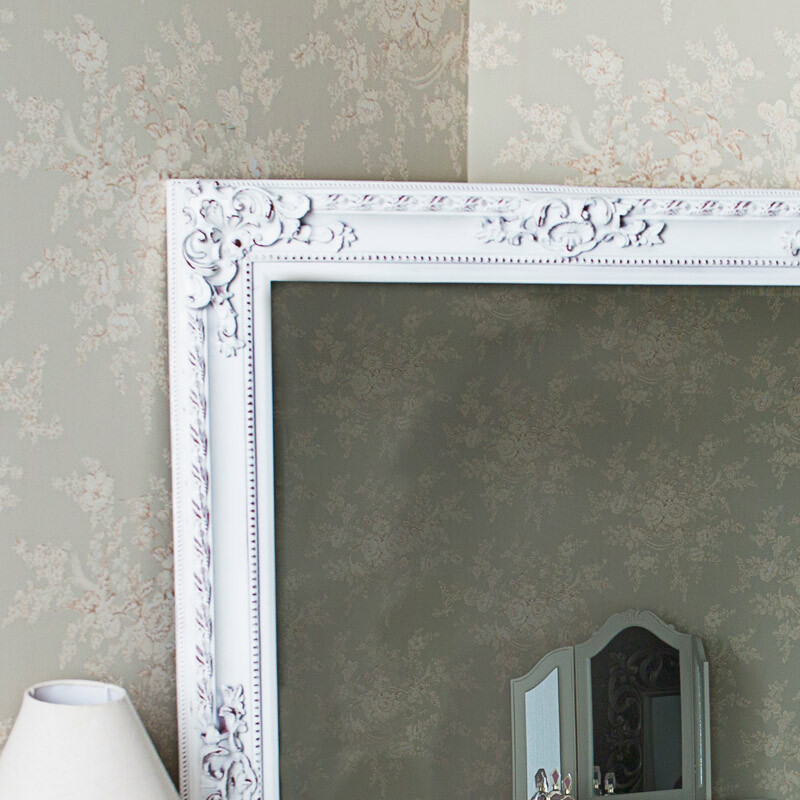 Give you hallway the elegance and decadence it deserves with this large white, ornate wall mirror. This mirror gives the options to either be wall mounted or free standing and leant against your wall. 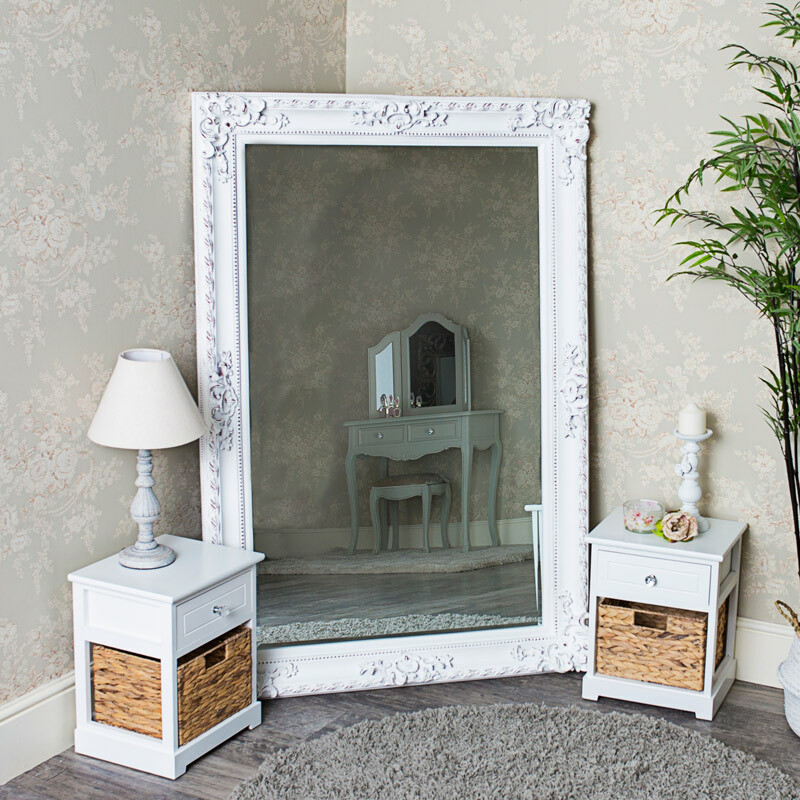 This gorgeous French chic inspired mirror is a must have for your bedroom or living room with its bevelled glass and interact ornate carvings. Give your interior the perfect pièce de résistance whether its a traditional shabby chic decor or one of z more modern, contemporary vibe. Made with a wooden back and overlayed with an ornate resin frame in an antiqued white finish. The mirror is wall mounted with D-ring hooks on the back for hanging in landscape and portrait orientation.